Gustavo “Braguinha” Batista is poised to break onto the scene in a big way. A medium-heavyweight, Batista has been one of the most consistent competitors at the lower belts for the past three years and is looking to make an impact during his first year at black belt in 2018. Batista stepped up to the plate in a big way at the 2018 Pans in Irvine, California, earlier this month. In his first major test as a black belt, the 22-year-old fought his way through to the final, where he closed out with his new teammate Lucas Barbosa. 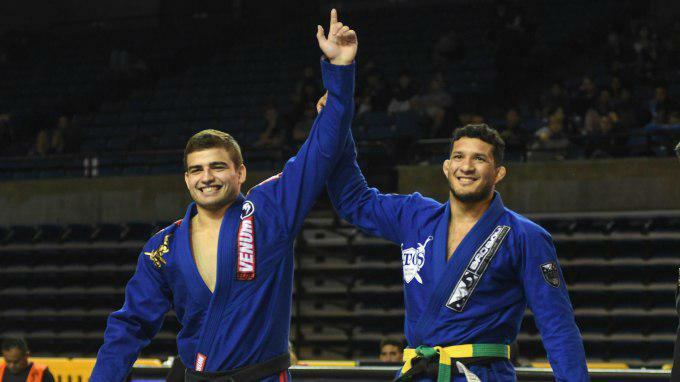 Batista recently made the switch from Leandro Lo’s Brotherhood team to Atos in San Diego. 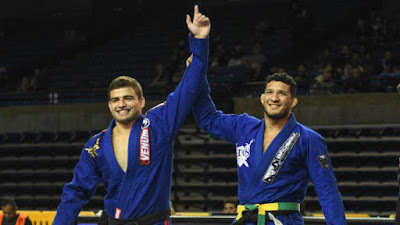 A strong addition to Andre Galvao’s team, Batista has had success at all the major IBJJF tournaments from blue to brown belt—notably winning the IBJJF Europeans three years running in different belt colors. The move to Atos should make it easier for Batista to compete at the major tournaments in the United States, and the team has an enormous wealth of talent around his weight.